Chasten Buttigieg, the husband of presidential hopeful Pete Buttigieg, will speak at the 2019 Human Rights Campaign (HRC) Houston Dinner on Saturday, April 6, HRC, the nation's largest LGBT rights advocate, announced on Wednesday. 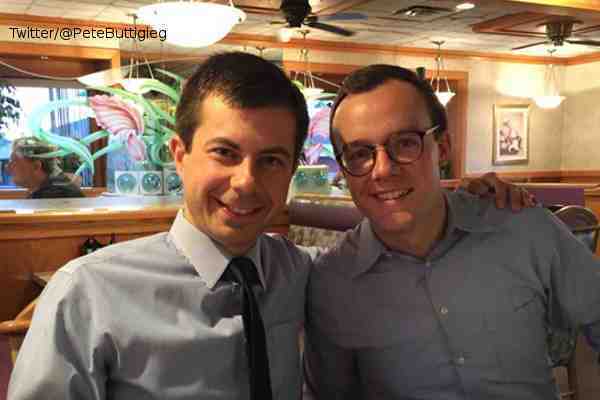 The Buttigiegs married last year in South Bend, Indiana – roughly three years after the 37-year-old Pete Buttigieg, the mayor of South Bend, came out gay in an op-ed. Chasten Buttigieg taught humanities and drama at the Montessori Academy of Edison Lakes in Mishawaka, Indiana. HRC previously announced that Shea Diamond would perform at the event.